SHANGHAI, April 19 (Reuters) – Pilbara Minerals Ltd aims to ship the first cargo of spodumene concentrate from its Pilgangoora lithium-tantalum development in Australia to China in August, its managing director said on Thursday. "We haven’t made any promises but we do expect to be shipping from about August," Pilbara Minerals Managing Director Ken Brinsden told Reuters in an interview in Shanghai. The cargo will go to one of two key Chinese offtakers for the project's first phase, Jiangxi Ganfeng Lithium Co Ltd or General Lithium, or may be shared by both, he added. Pilbara Minerals is on track to produce its first batch of spodumene concentrate by the end of June, he said, and would then work on building up enough inventory to launch its first ship. The size of the cargo, which will take around 13 days to sail from Port Hedland in Western Australia to China, would typically be about 10,000 to 20,000 tonnes, he added. Ganfeng, which is also a 4.84 percent equity stakeholder in Pilbara Minerals, has an offtake agreement for 160,000 tonnes of spodumene concentrate from Pilgangoora's first phase for an initial 10-year term. The 840,000 tonnes of annual output from phases 1 and 2 has already been sold out, Brinsden said. "I reckon we could have sold our offtake position two or three times over, given the enquiries that we had," Brinsden said. It will take six to nine months to ramp up towards first phase production capacity of 350,000 tonnes per year, Brinsden said, adding that the second phase was due to start commissioning in September 2019. "That's coincident with the (needs of) other counter-parties that are offtakers to that project," including China's Great Wall Motor and South Korea's Posco, which also hold small equity stakes in Pilbara Minerals, he said. Ganfeng is also a second-phase offtaker. 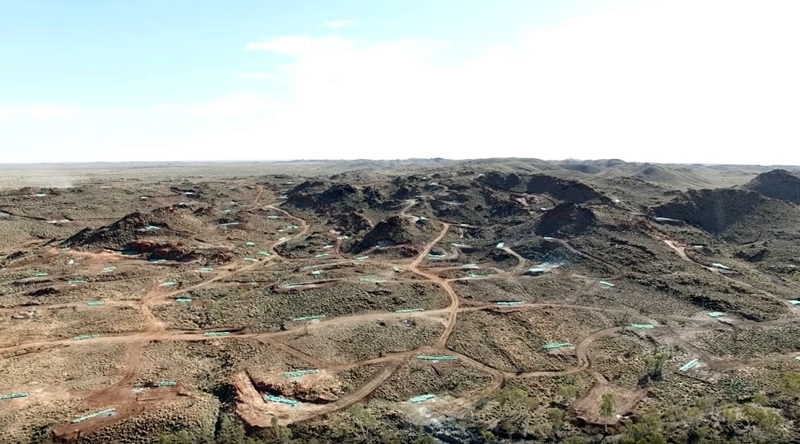 Pilbara Minerals is jointly investing in a downstream chemical facility in South Korea with Posco to tap the local battery market, with commissioning expected in late 2019, Brinsden said. "From our point of view we’re opening up a new supply chain to take the concentrate into South Korea, as opposed to just China," where similar joint ventures are planned, he added.